Today at the VTSDA, everyone worked their basics of Matt Johnson Ving Tsun. It’s very important to review the basics, to keep a beginner’s mind for every form. This way, we build a strong foundation upon which to build our self defense. If you ever need it, this kind of practice means your Ving Tsun will be there for you. Definitely you know what you’re ving tsun to be “guess so.” Right? Tonight at the VTSDA, we were a little all over the place. We started with forms and went to chi sau. Had a visitor, who’d heard about us from this month’s 2nd Friday events. Like what you see, get in touch with us to come for an interview and see if this might be the school for you. Still just dipping your toe in the water, join other nice folks and subscribe to stay current with self defense at the VTSDA. 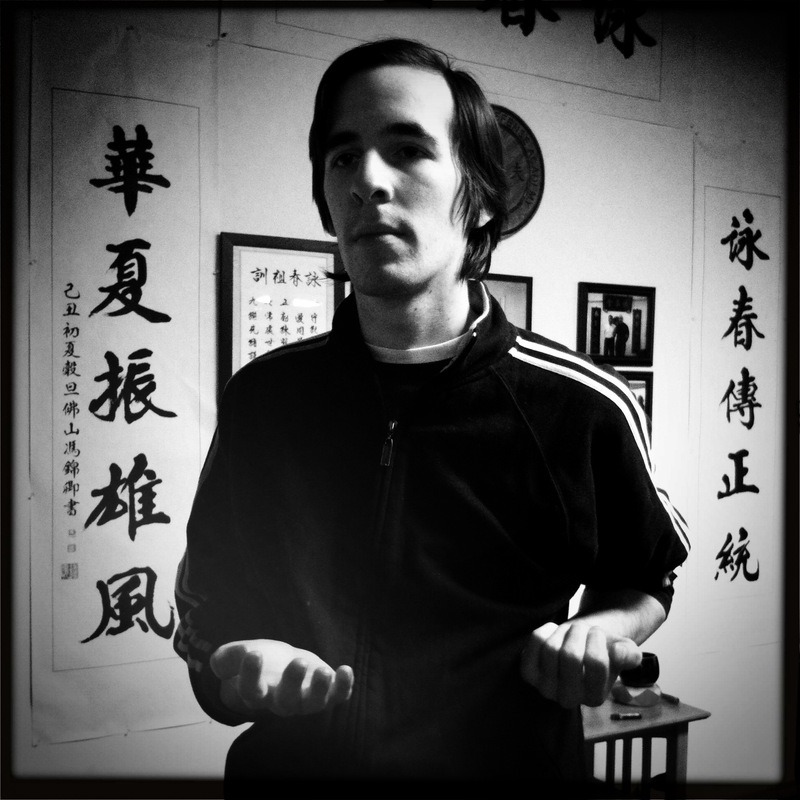 Robert, a student at the VTSDA manages a rigorous work and school schedule but always makes time to train his ving tsun. He came in the other night on a break from his pre-graduation grind to train the forms including this very nice work on Biu Gee, the third empty handed form of ving tsun. He’s clearly taken to heart the message delivered by Sifu Matt on a consistent basis…that is, if you want to have good ving tsun you gotta train; busy, tired, whatever, every single day.